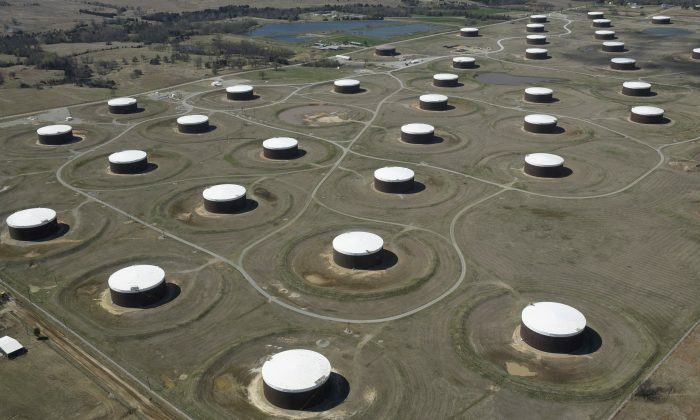 HOUSTON—Three cargos of U.S. crude are heading to China from the U.S. Gulf Coast, trade sources said on Jan. 15, the first departures since late September and a 90-day pause in the two countries’ trade war that began last month. The vessels left Galveston, Texas, last month and are scheduled to arrive at Chinese ports between late January and early March, according to shipbrokers and vessel tracking data. The shipments mark a change since Chinese buyers largely began avoiding U.S. oil during the trade dispute that flared last summer. “It looks like China has resumed purchasing U.S. crude,” one U.S.-based shipbroking source said. The person, who declined to be identified because he was not authorized to speak publicly about the matter, said the destination data could yet change. China is the world’s biggest crude importer and became a top buyer of U.S. crude after Washington lifted a 40-year ban on shipments in late 2015. It imported 325,000 barrels per day (bpd) of U.S. crude in the first nine months of 2018, customs data showed. Beijing has also resumed purchases of some U.S. soybeans for delivery this year. But China’s 25 percent tariff on U.S. soybean cargos remains in place. The supertanker Alboran carrying about 2 million barrels of oil recently rounded South Africa’s Cape of Good Hope and is due to arrive in China late this month, said brokers, citing fixture data. The Almi Atlas and the Manifa, two other vessels carrying 2 million barrels of crude, are expected to reach China in late February or early March. The two ships are currently located off Brazil, according to Refinitiv Eikon vessel tracking data. The cargos mark the first shipments of U.S. crude to China since U.S. President Donald Trump in December said China would begin taking more American products. “It’s a follow through of statements by the Chinese government they would indeed begin purchasing commodities from the United States again,” said Reid I’Anson, an energy economist at data provider Kpler. As China reduced U.S. crude imports, more American oil flowed into neighboring Asian countries, including India, Japan, Taiwan and South Korea. U.S. exports climbed to 2.33 million bpd in October, up from 2.2 million bpd in June.